Graphs are an important part of our every day life. It may not seem that way, but without graphs, we would be lost in heaps of data. Without even knowing it, important decisions are made daily throughout the world based on what a graph can tell us. In this article, I will point out the main reasons why we use graphs. Essential for school projects. Teachers usually have to go through dozens of reports each semester. After a while, they all look similar to them. When students use graphs, they can help capture the teacher’s attention by differentiating themselves from other classmates. 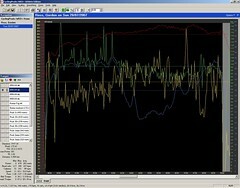 It is more visually appealing to show a colorful graph then to hand in a project with hundreds of lines of raw data. In addition, when a student uses graphs, they are showing initiative by going beyond what is asked of them by displaying their research in a well-explained graph. Present information easily and quickly. Sometimes, we need to get our point across fast. This cannot be done when trying to explain hundreds of lines of data. Graphs are essential in these scenarios. With graphs, you can more easily explain your information and a well formatted graph while still getting your point across clearly and quickly. Serious fun. Fun may be the last word you think about when you think of graphs, but there are situations when they can be fun. For example, graphs can be a fun way of keeping track of your health group’s weight loss or calorie intake through a time period. Alternatively, perhaps you can use graphs to keep track of your leagues softball statistics. Graphs are an essential part of daily routine. They may seem like work or chore. But they actually make our lives easier. Without them, we’d all be drowning in billions of lines of confusing data.